All Cape Insights tours, river cruises, expedition cruises, and adventure trips. Find the best guided trips and expert planned vacation and holiday packages. 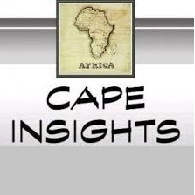 Average rating of 5.0 for all Cape Insights trips. Visit gardens timed for peak spring flowering, some captivating private jewels, some public showcases, such as Kirstenbosch – one of the world’s Magnificent Seven and Harold Porter coastal botanical garden, some featured in the BBC series Around the World in 80 Gardens such as Brenthurst, others exciting newcomers like Babylonstoren. Meet luminaries and locals, hearing from ‘green’ champions about sustainability successes, environmental challenges and collaborations between the wine industry and the conservation sector. Discover unexpected botanical gems in hand picked places. Delight in secluded spots, less travelled roads and spring-filled abundance. In the Cradle of Humankind celebrate unequalled fossil finds in this World Heritage Site, alongside acres of landscaped and art-filled garden in Nirox Sculpture Park, a cultural hub that’s a ”union of art, nature and human resolve”. Stay in stylish hotels – three are Relais & Châteaux, savouring a variety of exciting flavours and sampling award-winning wines.